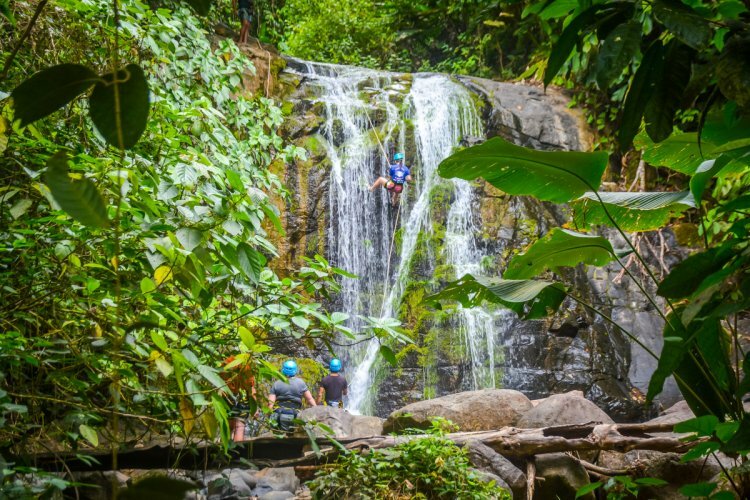 Come enjoy one of Mother Nature's tropical water fun parks with Costa Canyoning! We pride ourselves on taking you out of your comfort zone and making you comfortable through Thrill-Therapy! Come experience an adventure of a lifetime in one of Mother Nature’s tropical waterfall fun parks! 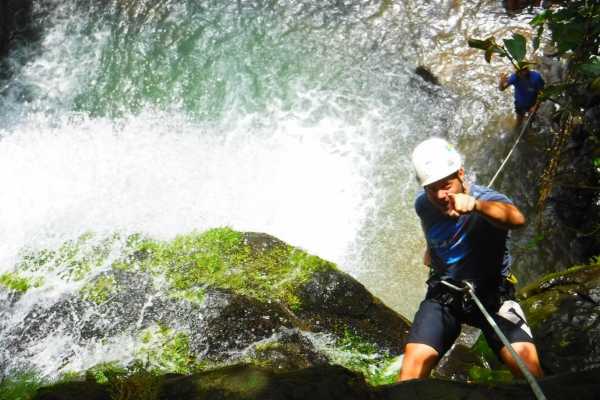 We here at Costa canyoning are ready to provide you with a unique Canyoning/waterfall rappelling experience that you will never forget! With over 10 years of canyon guiding experince we know how to get you down the canyon fun & safe! Take a look around and feel free to contact us by phone or email with any questions. We look forward to Adventuring with you! We also have a personal Facebook page. Friend Us on Facebook to stay in touch!